Weighing in at just under 8 ounces, this Simmons rangefinder is a light, compact tool for your hunting needs. It works at up to 600 yards on a reflective target, 400 yards to a tree, and 200 yards to a deer. The LCD display and 4x magnification give you a great view of the target. 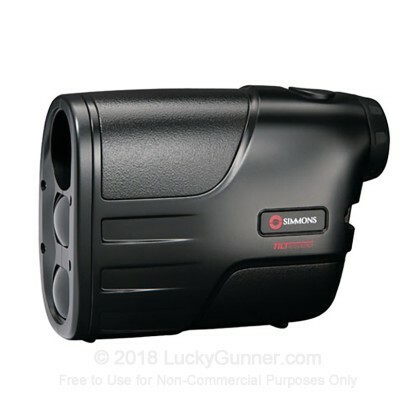 This rangefinder can measure its output in both meters and yards for maximum versatility. The device's infrared laser is invisible and harmless to the eye. This Simmons LRF 600TI is powered by a 9-volt battery and comes with a carrying case.